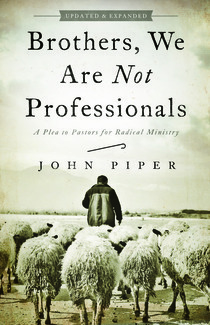 John Piper, Brothers, We Are Not Professionals, 3 (2013). In his book, Dangerous Calling, Paul Tripp provides an array of questions that help to discover the “true condition” of a man’s heart. So many churches hire men they do not really know. I found these to be helpful self-examination questions for my own heart preparation, as I remember my own great need of God’s grace. Paul David Tripp, Dangerous Calling: Confronting the Unique Challenges of Pastoral Ministry (Wheaton: Crossway Books, 2012), 61-62. Ever had something in your eye? It’s painful. Irritating. And blinding! The invasion makes your eyes water and forces them shut. Everything gets blurred, and clarity of sight becomes difficult at best. Without having your eyes flushed or dislodging the intruder, you remain blind and everything else stays blurred. Sometimes–oftentimes–that happens to us spiritually. We become blinded by something in our own hearts, but think we see ourselves and others with full clarity and precision. It’s a sad reality. Most of us experience it at some point–or at several points–in our lives. If we live long enough, then we’ll likely experience both ends of spiritual blindness. We will be blinded and interact with those who are blind. Lord, we need much grace–to find our identity solely in You, to embrace our maturity as a heart and life increasingly reflective of You, and our success as given and sustained by You for Your glory! Lord, protect us from the spiritual blindness that subtly makes us the center of our lives and ministry. Let us recognize that we are recipients of grace, and intended to be vessels of grace, that we would humbly pour out your love through grace and truth. Lord, help us… Lord, humble us. Lord, remove the logs from our eyes so that we can better serve those who need help removing the specks.